Author of Becoming Ms. Burton: From Prison to Recovery to Leading the Fight for Incarcerated Women, Burton is the founder and executive director of A New Way of Life in South Los Angeles, a reentry program that provides housing, legal services, and family services to people who have been recently released from prison. Burton was named CNN Hero in 2010 and has been interviewed recently by National Public Radio’s “Fresh Air,” The New York Times, and USA Today. 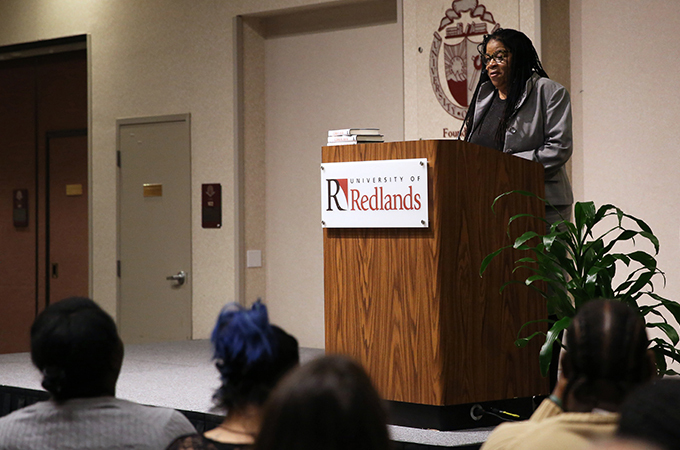 “She has become a real leader, both in criminal justice reform in California and in imagining how to create spaces of transformation for people who are coming home from prison,” said Jennifer Tilton, U of R professor of racial and ethnic studies, who was instrumental in inviting Burton to the U of R.
Sponsored by a variety of groups on campus—Race and Ethnic Studies; Johnston Center; Philosophy; Women, Gender, and Sexuality Studies; Political Science; Campus Diversity and Inclusion; and the School of Education—the event aimed to raise awareness of the difficulties that formerly incarcerated people face after they have served their prison sentences. During her talk, Burton revealed a personal history that involved the sudden death of her five-year-old son. The pain of his loss spiraled into heavy substance abuse, leading to six prison terms. Eventually, however, Burton was finally offered the chance to change course and forge a path to success. 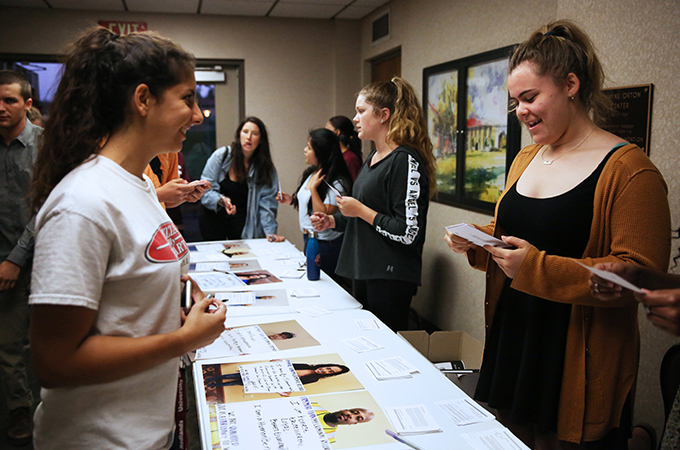 Burton explained how advocates in California are working to change criminal justice policies and employment practices (such as "banning the box" on job applications) so people do not face a lifetime of punishment for past convictions. Additionally, she explained “sentence enhancements” and “collateral consequences”—the public and private services that convicted criminals are excluded from after serving prison sentences—while promoting legislation for criminal justice reform.